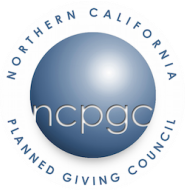 ﻿The Northern California Planned Giving Council offers this introductory course in planned giving. This course offers 15 hours of instruction from experienced planned giving practitioners in the Bay Area. Learn the basics of planned giving and obtain the tools to start your planned giving program in six sessions! The sessions are interactive and students receive personalized attention since class size is limited to only 40 students. In addition, students are encouraged to team up and review materials during and after the series. Students will also receive a course notebook filled with outlines and materials to use during the series and as reference later. Members receive a $50 discount on the course. Seating is limited to 40 participants.